I don’t like or even condone women that think it’s okay to wreck other people’s homes‚ just as much as I loathe men that think it's okay to get in between to two people who are trying to build something together. That being said‚ looking at the menu or window shopping is what has become normal human behaviour. I mean‚ technically‚ the minute you had a crush on Chris Brown (90s kids) or hung a poster of Will Smith on your wall that meant you wanted someone you (most likely) couldn’t have. Having crushes and types in the vast selection of celebrities and athletes is age old and is something that has been considered mostly “harmless." Well‚ that was until Rachel Kolisi put a spin on the whole thing. Rachel made headlines this week after she took to Twitter (first big mistake‚ she should have tried Facebook‚ people are sort of kinder there) to tell women not to label her bae Siya Kolisi‚ who is the captain of the Springboks‚ as a “type” and basically not to disrespect her. This song came to mind. 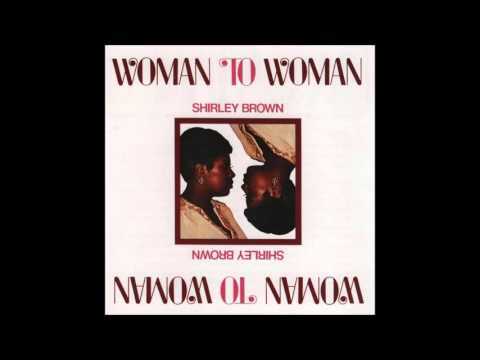 When you listen to Shirley Brown start this conversation (with Barbra’s voicemail) over that beautiful bass guitar sound in the background in her song Woman to Woman‚ there are two conclusions you can make. One‚ Shirley is a confident woman‚ who is marking her territory. Two‚ Shirley is an insecure woman who is scared that Barbra will make her man leave her for a reason known only to her. Now‚ the story of Shirley might as well be the story of Nomsa‚ Lerato‚ Palesa or Rachel in Soweto‚ in Mthatha or in the burbs somewhere in Cape Town. Image: Rachel Kolisi Rachel and Siya Kolisi with their family. As a woman‚ there’s always some guy taking chances thinking he can get with you. That would mean there’s always a woman looking at your man like‚ “Oh yeah he can get it”. These things happen whether you are a celebrity or a just plain ol’ somebody. Rachel’s reply caused a frenzy on Twitter because the actual tweep that spoke about Siya being a “type” also clearly said she’s not interested in him. It was a clip from Bonang Matheba's reality show featuring Lorna Maseko that allegedly ignited Rachel’s anger‚ but seemed harmless. Well‚ to me at least. The clip features Lorna having a conversation with some people and Siya's name pops up abruptly when Lorna says the woman next to her apparently wants to date a black guy. Rachel said she had watched a clip where a celebrity had encouraged her friend to go after Siya‚ although the verdict is out on what exactly was said and if it can be considered "encouraging." So what if there are girls crushing on your man? He’s Siya freakin’ Kolisi. A fine black specimen‚ who also happens to be a public figure that people admire and will crush on. The fact that he’s a husband and father really doesn’t mean anything in the crush department because he’s those things ONLY to Rachel and their kids. To rest of Mzansi and the world‚ he’s the fine athlete‚ leading a fine team of fine men who play rugby and can‚ at any time‚ be anyone’s type. A public figure‚ who belongs to the people‚ and serves through his talents. Side note: Don’t worry he’s not my type. I’ve concluded that it may have just been a weak moment for her. You know‚ because it happens to everyone. Unlike Shirley‚ whom I’ve concluded was marking her territory‚ I feel Rachel may have let that insecurity almost all women have get the better of her on that day. Do I think it helped her in anyway? No. In fact‚ I knew she was in trouble the minute someone said‚ “Rachel honey‚ you forgot to add‚ ndicela (please) in your sentence." She put a bigger target on her husband. The devils don’t rest‚ fam. More than normal couple problems‚ Rachel also has to deal with the fact that people still think she and Siya aren’t meant to be. You only have to search on social media to see that many black sisters think they can do a better job. Now she has other ungovernable women intentionally looking to wreck her happy home. You know what the worst part is: The decision at the end of the day is not Rachel’s to make‚ only Siya can decide to choose and love her every day. But now the guy has extra fending off to do because as we all know what they say about forbidden fruits‚ mos. However‚ here’s my thing: Siya chose Rachel and they have a beautiful family together. They have been through a lot of unnecessary sh*t like racist attacks‚ but they are still standing. From the outside‚ they look happy and it looks beautiful. And I hope they are. Like Rachel said: they've been through all the good and ALL the bad. It really shouldn’t be a thorn in your foot to be honest‚ Rach. The bottom line is that man chose you.